Traffic Logix recycled rubber speed humps are rounded traffic calming solutions, installed across the width of the road to slow cars down. They are ideal for residential roads and slow cars to 10-20 mph. 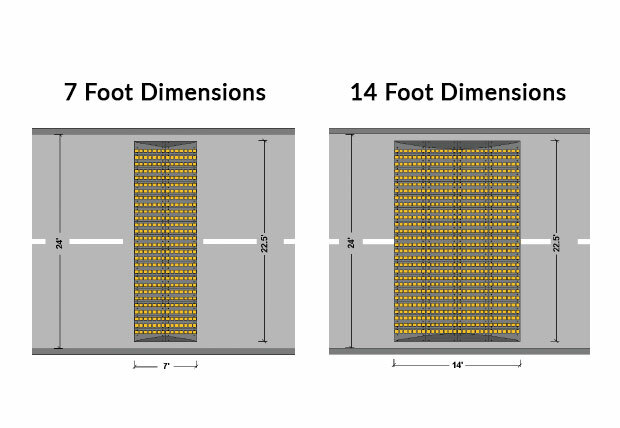 Speed humps should ideally be installed in a series to sustain their speed reduction effect. They are best placed mid-intersection. 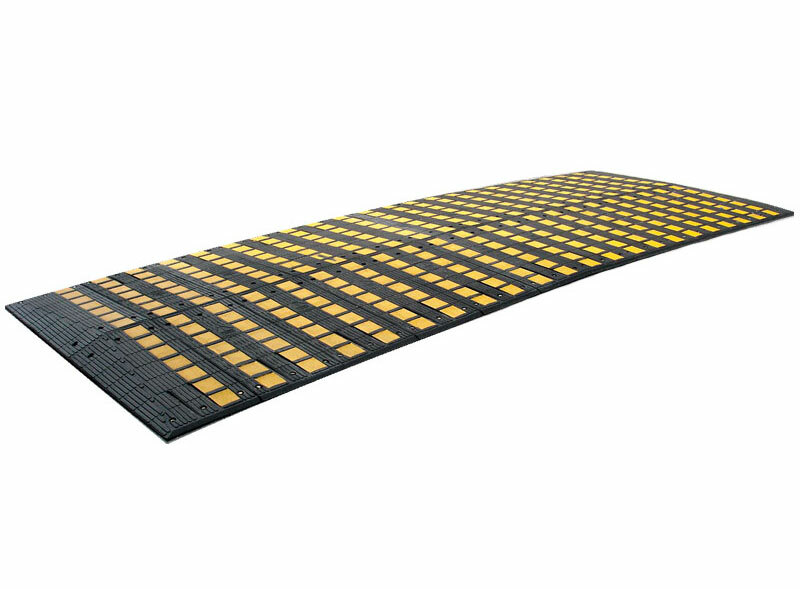 Made of interlocking units that simply snap together, Traffic Logix speed humps are quick and easy to install. Available in 3” or 4” heights and typically installed in 7’ or 14’ lengths, they are effective in slowing cars and returning safety to neighborhood roads. Markings are embedded into rubber during manufacturing process. Reflective material in Yellow or White Squares Reflective material in White Arrows.